The Museum of World Treasures is proud to announce the opening of Dawn of the Great War: A World War I Centennial Commemoration. 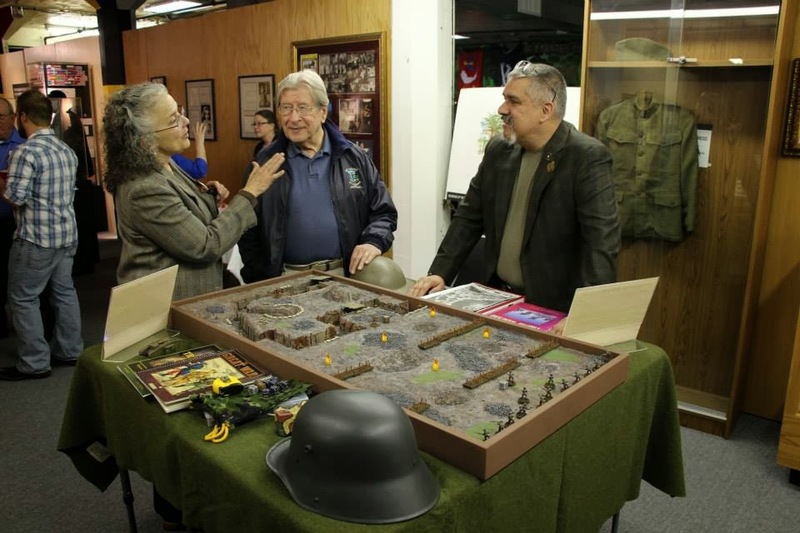 The exclusive exhibit opening for Dawn of the Great War was held on Thursday, February 27. All Museum members are invited to these special exhibit opening parties. 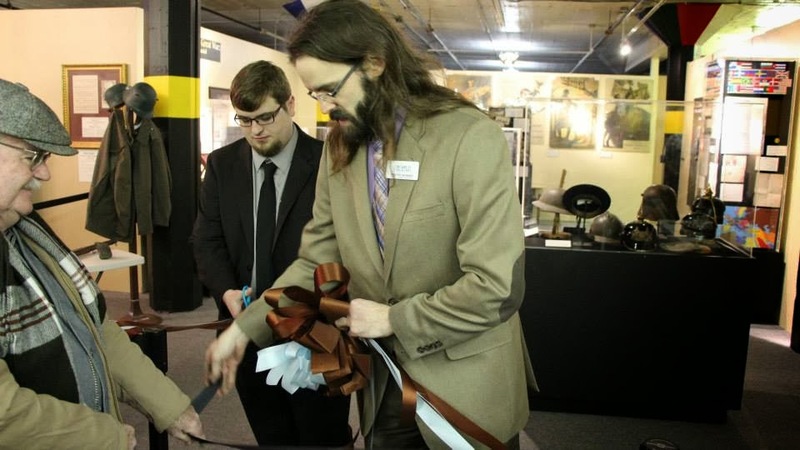 The opening included a short speech from WSU student curator Clayton Suter and a ribbon-cutting ceremony. The event included a variety of delicious food provided by local businesses, including Candle Club, Dillons, and Cocoa Dolce. The new exhibit commemorates the centennial of World War I, which began on July 28, 1914, with the Austro-Hungarian Empire’s declaration of war on Serbia. Dawn of the Great War examines the earliest years of World War I, focusing on its causes and earlier battles as well as the new technology developed for the war. It exhibits a wide variety of unique weapons, tools, and other artifacts from the major combatant countries as well as documents signed by some key players. 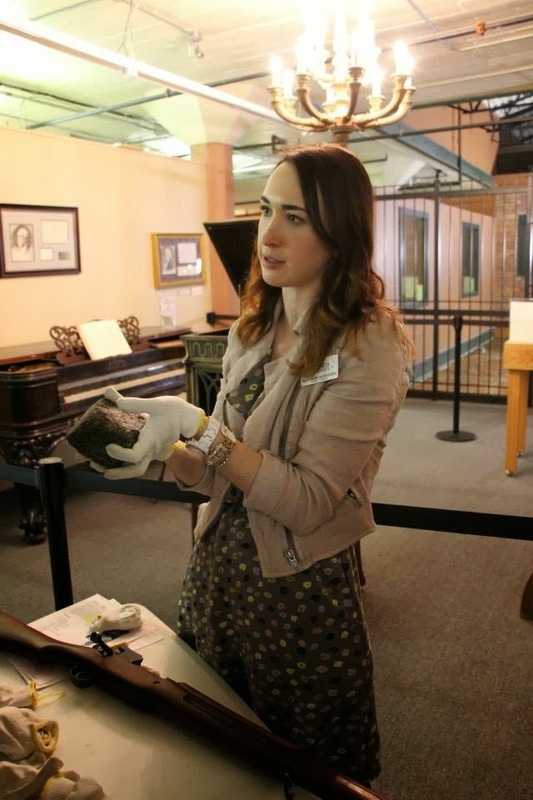 During the event, Education Director Jillian Overstake-Forsberg oversaw an artifact station that allowed visitors to handle real artifacts with gloves. 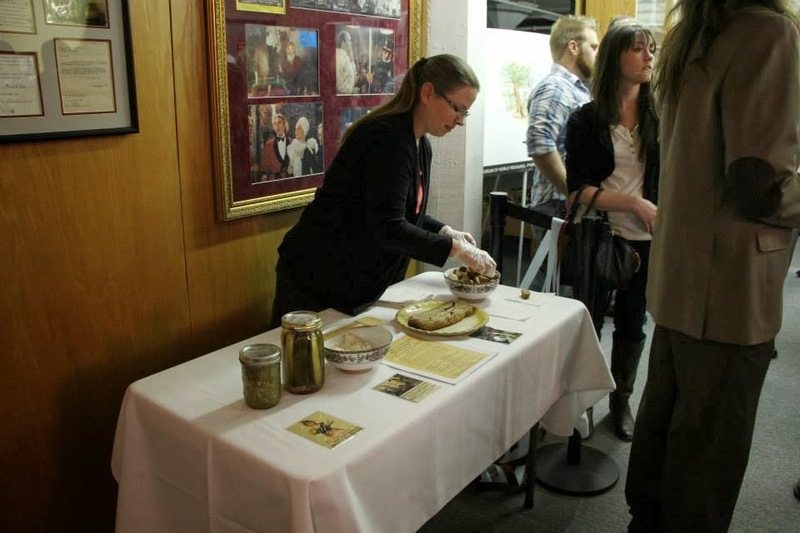 The event also included a wheat-less bread demonstration to display the rationing of wheat that took place during World War I.
Volunteer Jim Finneran provided a historical war game table for guests. Jim created a this display for the opening that demonstrates trench warfare conditions and tactics. He also provided an aviation themed board, as WWI Ace's were famous to the general public. Dawn of the Great War is a one-year temporary exhibit in the Museum’s Rotating Gallery. The Museum’s Rotating Gallery provides a unique opportunity to area students as it is researched, designed, and completed by a student chosen from a local university. Under the direction of Curator of Exhibits and Research, Tim Howard, Dawn of the Great War is curated by Clayton Suter, who “chose World War I as the theme due to 2014 marking the War’s centennial, and because World War I’s impact continues to affect the world today, even though it ended nearly 100 years ago.” Suter is a history graduate student at Wichita State University. The private unveiling was open to Museum members and special guests. Are you interested in becoming a member of the Museum and receiving access to private unveilings for future exhibits? Please contact the Museum at 316.263.1311 for more information on Memberships and a free invitation for the next exclusive exhibit opening.